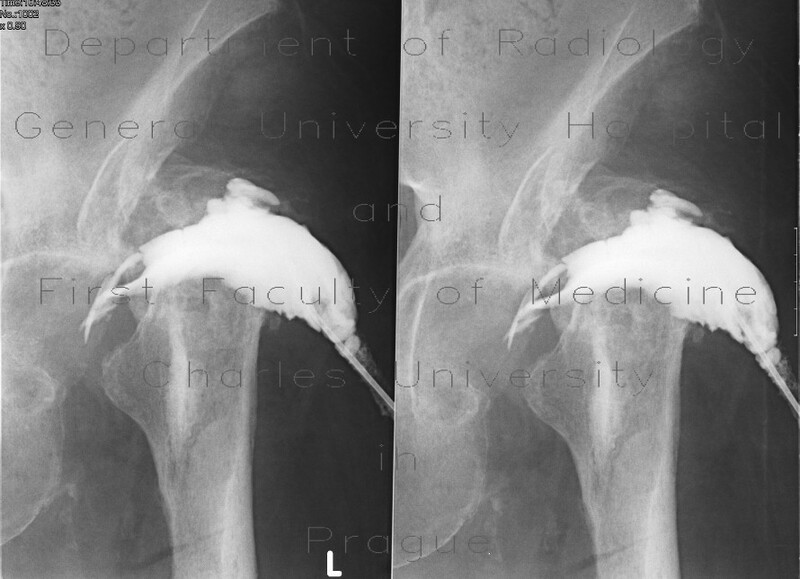 Total hip replacement complicated by infection, osteomyelitis with formation of fistula. The prosthesis was removed. Contrast injected through fistula fills the remaining cavity.